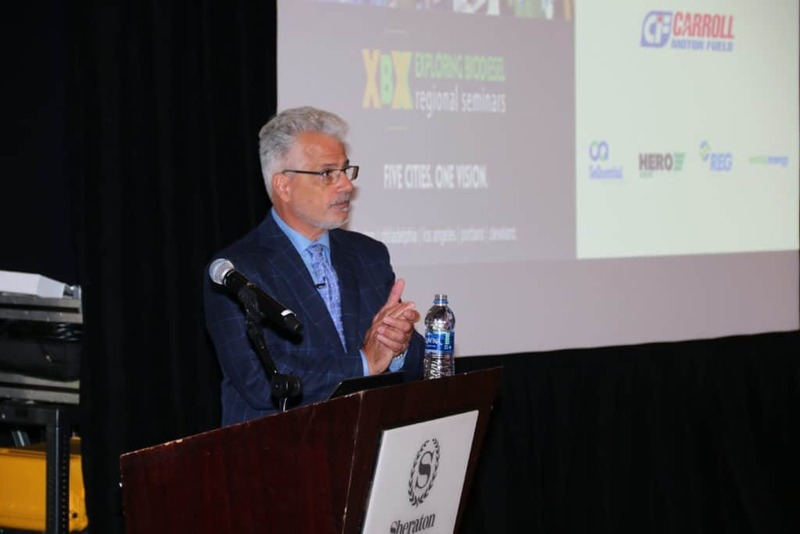 Nazzaro was the keynote speaker at the 2018 Exploring Biodiesel Regional Seminar (XBX) in Boston, and at several other XBX events that year. The 2018 XBX Philadelphia audience is pictured in the header above. 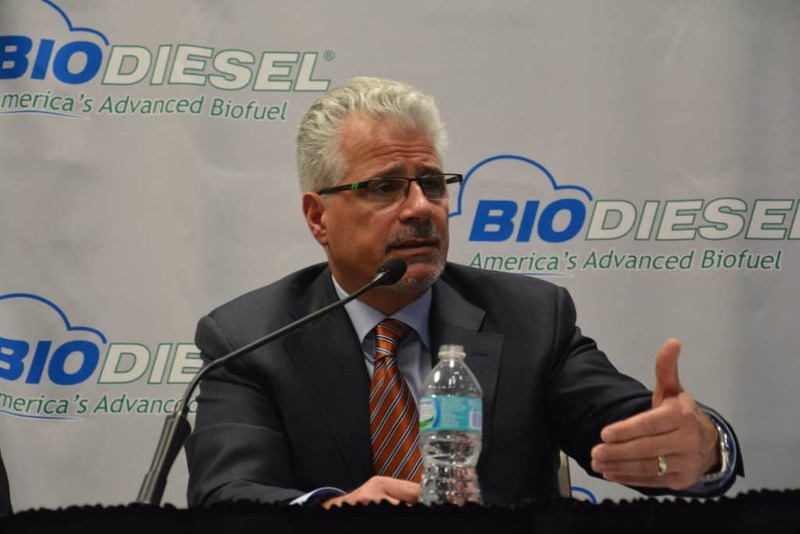 Over the past two and a half decades, AFS president Paul Nazzaro has helped secure biodiesel’s place as one of the fastest growing alternative fuels in the nation. He has written and presented extensively on all facets of biodiesel production, handling, blending, marketing, operability, and policy. 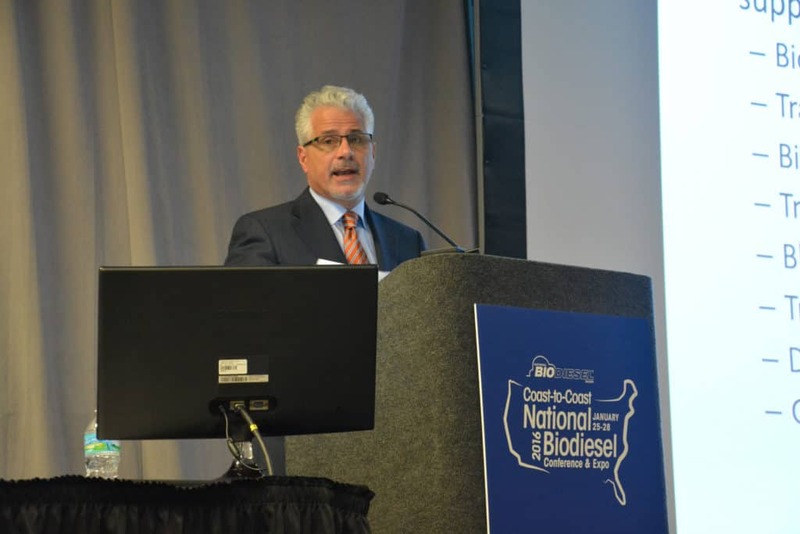 As petroleum liaison for the National Biodiesel Board, he was a key figure in the conceptualization of Bioheat® fuel. Now a standard heating oil blend stock, Paul’s vanguard leadership proved critical in the formidable task of gaining acceptance of biodiesel by the heating oil industry. In addition to overseeing NBB’s Bioheat consumer website, Paul has developed countless guides for every level of the supply chain, including the Bioheat Playbook, Biodiesel Success Stories, and a biodiesel fuel blending video that demonstrates proper blending technique at the terminal level. He has also developed and brought to market two branded soy-based additive packages. 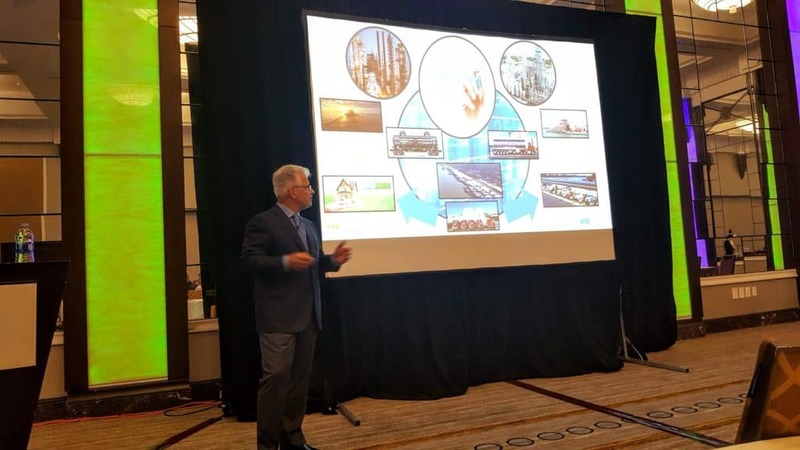 In 2018, Paul organized the Exploring Biodiesel Regional Seminars (XBX), an intensive training workshop for liquid fuels supply chain participants, which drew more than 500 attendees in seven cities across the U.S. After an overwhelmingly positive response from attendees, he is currently in the planning stages for XBX 2019. Have a question? Ask Paul. The entire AFS team is trained extensively on the operability, marketability, and adoptability of biodiesel as an alternative on-road, marine, and home heating fuel. We have decades of experience in all aspects of biodiesel market development and fuel handling, which industry newcomers can leverage to fast track their business to market prominence with the confidence of knowing that an early pioneer of America’s Advanced Biofuel is standing in their corner. Field-proven additive treatments for water, microbial, stability, and cold flow management. Fuel sampling, analysis, and follow-up in partnership with the most reputable petroleum labs in the country. Consultation on how to best use or build upon existing assets to support your biodiesel operation. Leveraging our industry knowledge, relationships, and 20+ years of experience to grow your business. Look no further. We have the answers to your questions, the questions you never knew to ask, and the solutions you need to protect and grow your business.